Learn from Lynn! Master the FY 2019 ICD-10 code changes. This discounted bundle of ICD-10-CM and ICD-10-PCS Code Updates offers detailed explanations of complex coding concepts from Lynn Kuehn, a nationally recognized coding educator. Package includes FY 2019 ICD-10 code changes effective for discharges October 1, 2018. Includes special bundle pricing! Taught in a systematic and comprehensive manner, ICD-10-CM and ICD-10-PCS Code Updates ensures coders are ready! Learning is fun and memorable! Multimedia course offering audio and visual materials with insights not found anywhere else. Course index structure allows coders to revisit topics of interest without having to scroll through entire course. Saves time and encourages review. Don’t wait for coding books to arrive or encoders to update! Course uses CMS files and includes download and file use demonstrations. Enrollment period is 20 weeks. Note: ICD-10-CM Code Update and ICD-10-PCS Code Update are also available for separate purchase. Multimedia and interactive online course offering independent self-study. Knowledge checks and/or final assessment ensure mastery of material. Online Flexibility! Materials available 24/7. Work at your own pace — save time and travel costs. Earn Libman Education Certificate of Completion and CEUs. To receive CEU credit, students must achieve a passing rate on the course assessment(s). Course is self-paced. For planning purposes, assume 1-3 hours required for each CEU. Unlimited course access during enrollment period. For courses offering greater than one CEU, enrollment period is 16 weeks. For courses offering one or fewer CEUs, enrollment period is 4 weeks. Courses purchased as a bundle or package may have a longer enrollment period. Extensions to the enrollment period are available. Contact Libman Education for pricing. Financing available through PayPal Credit. Price listed is per person/per course. Group rates available upon request. 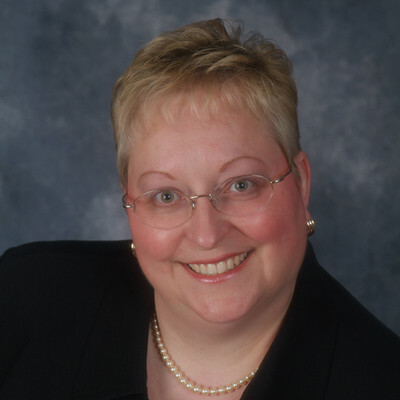 Lynn Kuehn is president of Kuehn Consulting, LLC, in Waukesha, Wisconsin, a consulting firm specializing in coding for all settings and physician practice management issues. Lynn is a nationally recognized trainer on ICD-10-PCS and other HIM-related topics. Lynn served on the AHIMA Board of Directors and authored several of AHIMA’s most popular books including Procedural Coding and Reimbursement for Physician Services, CCS-P Exam Preparation, and ICD-10-PCS: An Applied Approach. Together with her co-Author Theresa Jorwic, Lynn received the Triumph Literary Legacy Award from AHIMA for ICD-10-PCS: An Applied Approach. This book has been named the “go-to” resource for learning and mastering ICD-10-PCS. 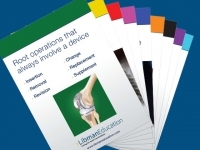 ICD-10-PCS: An Applied Approach provides step-by-step instructions and exercises at all levels, and is used throughout Kuehn’s ICD-10-PCS courses authored for Libman Education. “I enjoyed the ICD-10 Update course. I liked the fact that I could do it at my leisure. I also liked the quizzes at the end of each chapter. The hands on gets me to learn.” — Cindy S.
“It did a very good job of explaining the ICD 10 update.” – Phil T.
“Lynn always has a way of getting the information across in a simple, understandable way!” — Janice N.
There are 31 root operations used for inpatient procedures in the Med/Surg section. Distinguishing between them can be challenging. This set of nine 5×7, laminated, double-sided ICD-10-PCS Root Operations Flash Cards, designed by nationally recognized ICD-10 expert Gail I. Smith, MA, RHIA, CCS-P, prepares you to select the appropriate root operation with confidence. The key to ICD-10-PCS coding success is understanding and being able to identify the root operations. Each root operation is defined and the key distinguishing feature called out. Examples of each root operation are provided. Similar root operations are grouped together so that the subtle differences are more easily understood. Price includes shipping. Learning Aides are sent via US Mail. Allow 5-10 days for delivery. Special group discount: get 11 sets for the price of 10! For every 11 sets added to your cart, a $19.95 discount is given.